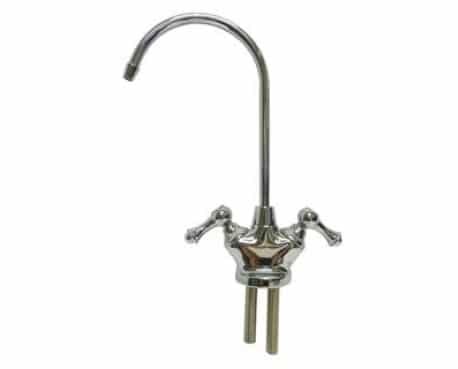 Euro Tap 2 way kitchen tap designed to run both hot and cold water through the loop and can be fixed on the kitchen faucet delivering the water through the 2 way Euro Tap. The Chilled & Ambient faucet is a two way water tap. It gives you a choice between ambient water or cold filtered water. The Chilled & Ambient faucet is an elegant goose-neck shape. This product is quality workmanship at an economical price. Replacements / Repairs / free Installations can be done by our qualified specialists, check with us for best and limited offers. Elite Series 6 ( Filtered & Chilled water filter ) can be the best partner for your whole family to save your pockets in purchasing water bottles and heavy lifting.